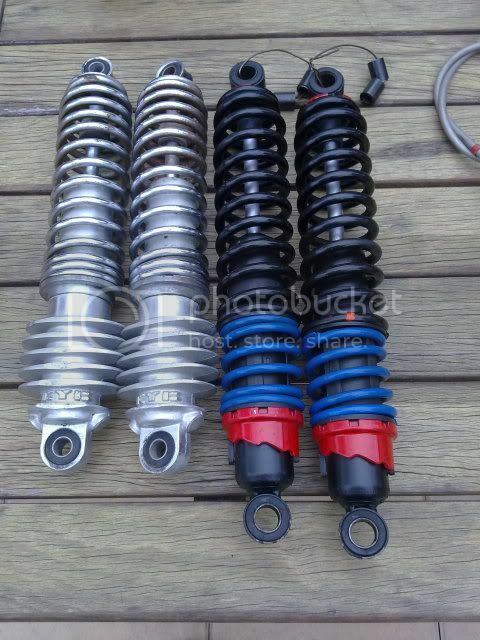 These are a pair of S and W shocks that I bought for a project but didn`t fit. No oil leaks and damping works fine. Total length is 42cm Would be a great upgrage for that Vintage MX project. Location is Perth Australia ,pickup can be arranged. 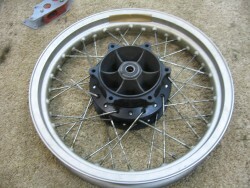 S and W were very popular in the twin shock days and since then thay were bought out by Progressive. 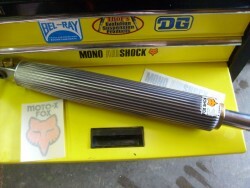 Some of their shocks are copied S and W.
For sale Hodaka super combat 125 or Super rat expansion chamber . Freshly painted and cleaned out. Condition is 7/10. 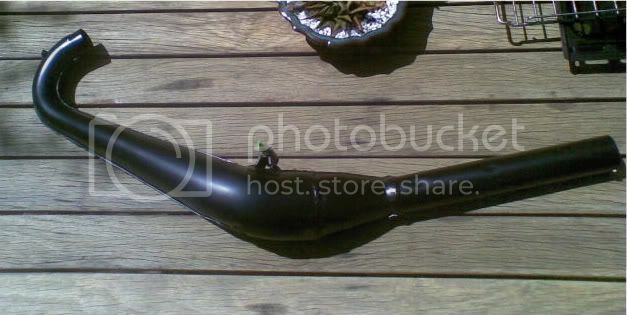 $200 located in Western Australia. Will post to other countries. 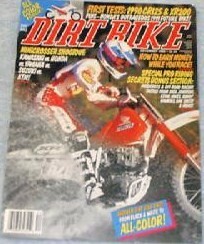 DIRT BIKE, December 1989, Full Cover, Minicrosser Shootout: Kawaasaki vs Honda vs Yamaha vs Suzuki vs KTM! How to Earn Money While You Race! 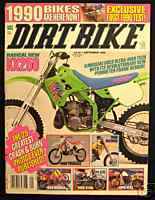 Special Pro Riding Secrets Bonus Section: Motocross & Off Road Racing Tactics From Rick Johnson Kevin Hines Randy Hawkins Dan Smith + More, First Tests: '90 CR125 & XR200 Plus Honda's Outrageous '01 Future Bike, $6. Wanted ME80 Mugen kit for the 1985 CR80 water cooled top price paid . 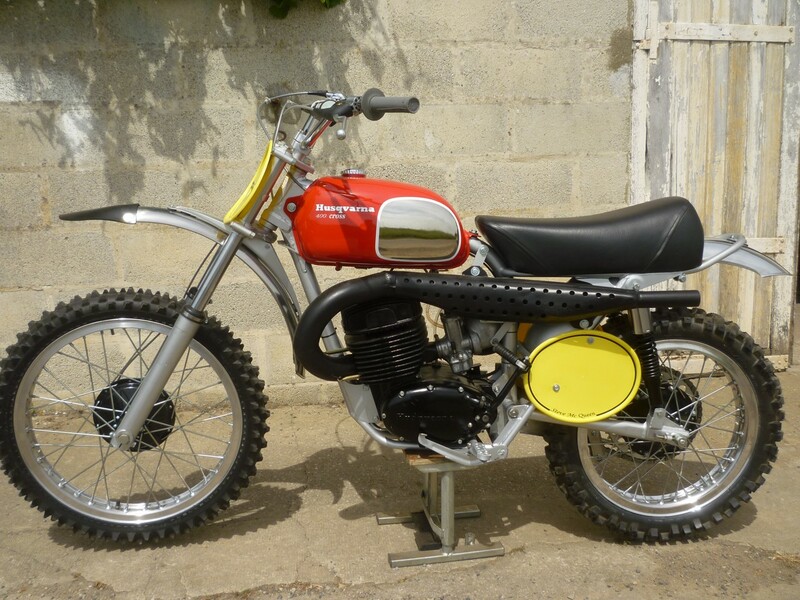 Hi, i am after a 1979 kawasaki kx250 A5, any condition considered. Looking for a 1983 it 250 cylinder. new used even if it needs work. Hi, Im looking for a tank and clutch cover for a 1974 or 75 YZ 250, dont need to be nice items,just usable for a racer.Anyone have anything for sale? 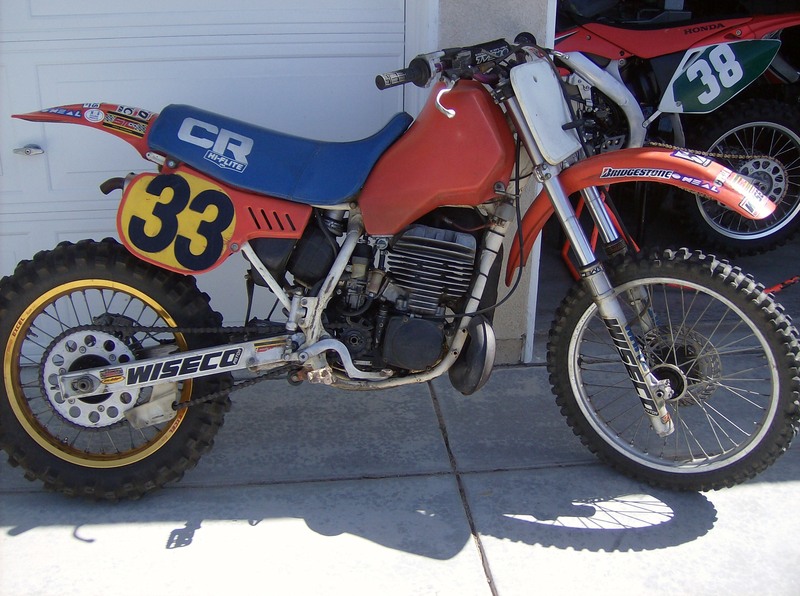 I searching a NOS CR500RE 1984 Rear Swingarm. 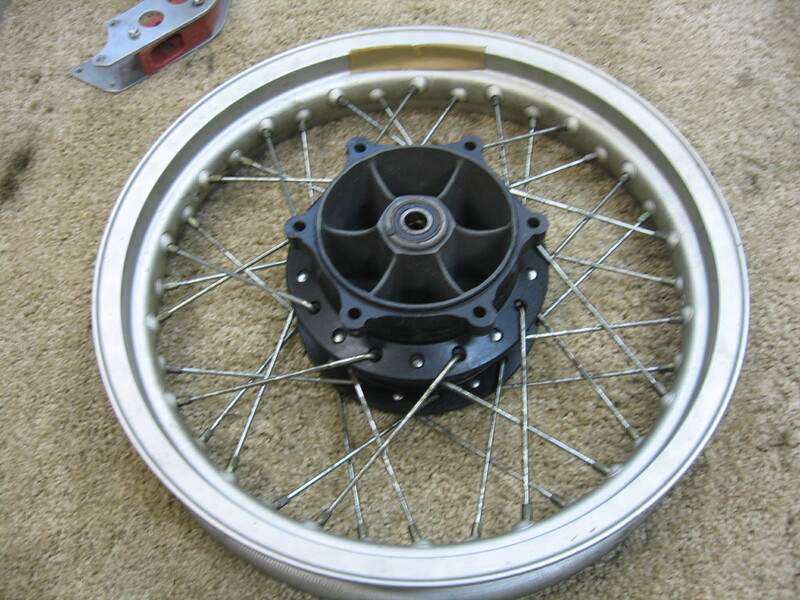 Will Pay 1000$ and more for this example.Also Searching NOS Front-Rear Tyres Genuine old Bridgestone Profile. 1976 Suzuki RM 125A parts for sale. 1979 1980 Suzuki RM125 aluminum swingarm. Solid but there is some scratches and rash. $25.00 plus shipping. 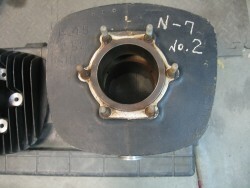 1981 Husqvarna rear brake backing plate with bushing, $19. This is my Dads, love that we have to auction off. Right after Korea war my Dad dived into scooters and his favorite – The Harley. Please pass this around, come and bid, we would be glad to have you. Harley cups, knives, hat pins and other memorabilia. Cushman books, hat pins, patches and other memorabilia. 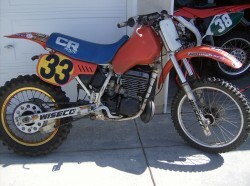 I am selling a 1983 honda CR 480 that runs great proven winner, many many extras. Great looking bike and a steal at this price. Please call hugh at 661-675-9740 if you have any questions or want to see the bike. 1979 FOX MONO AIRSHOCK for 1979 Yamaha YZ125, 250, 400. Also applicable to the IT and other years. Very nice. MOTO X FOX reproduction jersey new never worn.size XL. CYCLE WORLD, September 1976, full cover, Comparative Specs On Leading MXers,125,250 and Open class, Honda 750: Automatic vs 5 Speed, Is Easier Always Better? 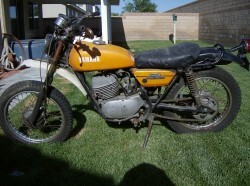 Ignition Basics, Yamaha IT 400 Enduro, Prepping Used Bikes For Sale, Fall of the British Industry... Whats Left for the Owner, $10.